Fresh ripe peaches for breakfast, a snack or dessert... this is good eats! Homemade Bakery Style Cookies that are big, thick, soft and chewy! Deliciously irresistible, this pie is filled with fresh peach flavor! 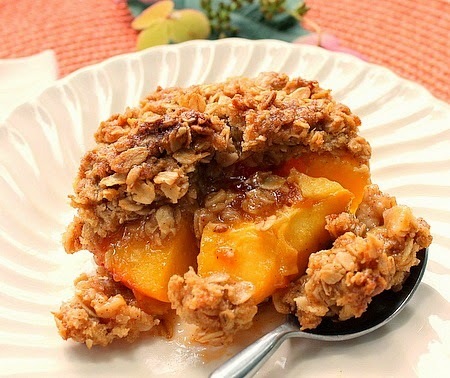 Soft juicy baked peach halves with apricot jam in the center and a crispy oat topping! This is the Best Banana Muffin I've ever Made! A delicious easy coffee cake recipe that you can make into different flavors by simply using different pie filling flavors.